Do you consider yourself quite a character? Would you say you have a strong personality? If so, we have the slippers for you. Introducing our character slippers, with some if not most, of your favorite cartoons, heroes, and villains rendered in a comfortable, foot-covering form. If you fancy yourself a bit of a sci-fi or comic book fan, we have Star Wars slippers, Nintendo slippers, and various superhero slippers. If you’re more of a traditionalist, check out our character slippers right out of the hundred acre wood with our Winnie the Pooh and smiling Eeyore slippers. 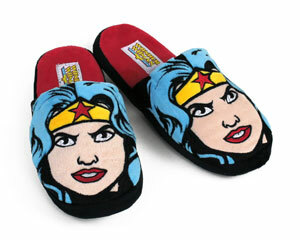 We have a terrific selection of cartoon character slippers too! 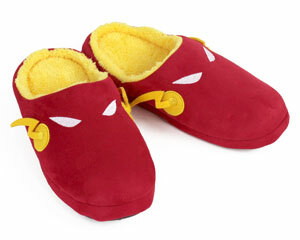 Looney Tunes Slippers and Muppet Slippers are just the beginning. Never be out in the world with cold feet wondering who you are. 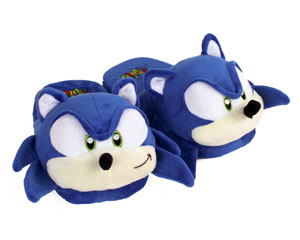 With these funny character slippers, a simple look down can remind you in a flash.